From the Writer/Producer & DOP/Executive Producer duo behind Brothers With No Game and How Did We Get Here? comes a new digital short film concept Third Act. Layered with hidden messages, the story begins on three friends as they embark on a new venture in podcasting. A humble setting for conversation quickly yields tension-filled exchanges between the friends, opening a sequence of events that reveal secrets in their respective relationships. 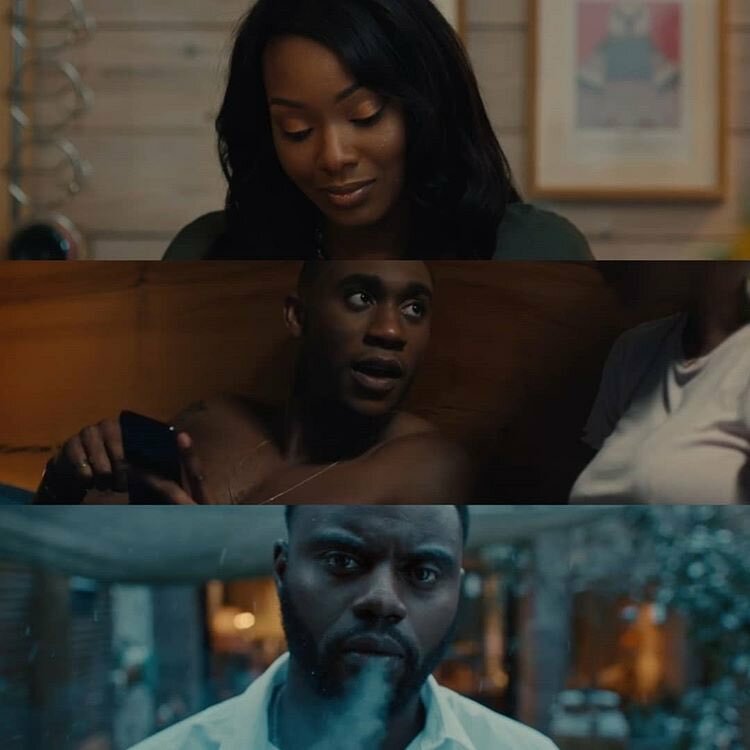 The short film plays on the idea of three – third act being the final act of a story, three friends, a film split in three scenes and the actions of three people that reveal a secret. Ashley Bannerman (The Infiltrator, Turn Up Charlie) as Sidney, an advanced speech and language therapist who strives for ideals rather than the balance of reality. Her moral compass reaches an impasse when her friendship and relationship is tested. Gia Ré (Eli), who plays Rose, a radio producer and DJ whose talent and presence lands her a contract with a boutique talent agency. Her witty, affable exterior is haunted by an inner vulnerability; one she can control until her personal and private life crossover. Stephanie Levi-John (The Spanish Princess) as Adrienne, a self-employed entertainment columnist and blogger. An unapologetic social media darling, she is a formidable yet dangerous force whose ever-growing status brings her closer to achievement but further away from morality. CJ Beckford (Victoria) plays Shaun, a junior agent at a boutique talent agency representing Rose. Michael Akinsulire (Killing Eve) as Joshua, digital marketer at the same boutique talent agency and boyfriend of Sidney. Olan Collardy (Eli), Leon Mayne (Binge Watching) and Charlotte Toon serve as executive producer, writer and producer respectively. Have a watch and let us know what you think in the comments below or over on Twitter: @Scene_TV.